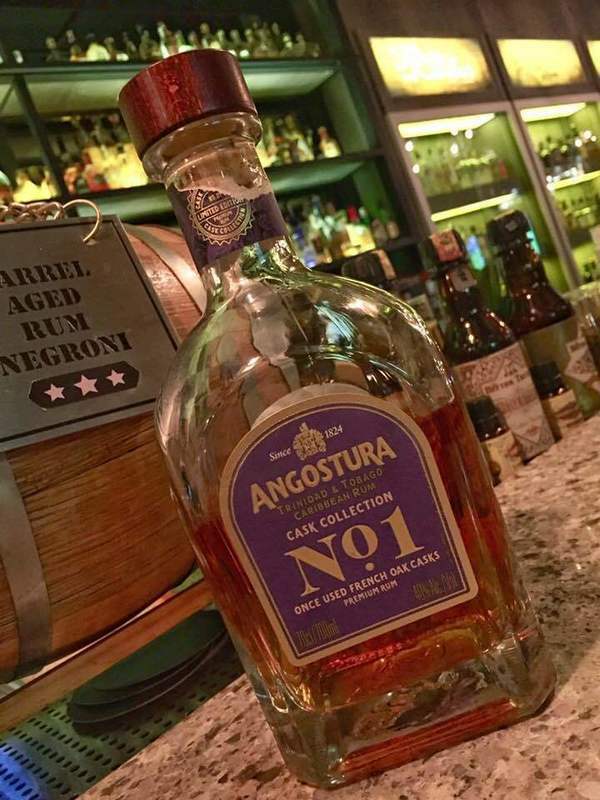 Have you found an online vendor selling Angostura Cask Collection Number 1 Batch 2? I really like the Angostura No. 1 rums. I tasted this side by side with the Batch 1, and I personally give the Batch 1 a slight edge. The Batch 1 is a little more rum like, while Batch 2 has a little more bourbon. Smells and tastes of molasses, almond, oak, and bourbon. As previously noted, the bourbon notes are just a tad stronger than in the Batch 1. At one point, I owned 7 bottles of this, thinking I had bought batch #1 (it was an error on the store's part). I tried and tried to like this rum. I ended up returning six bottles and keeping one. Pretty much as smooth as batch number one, I just didn't seem to appreciate the flavor. I believe it's the sherry finish. It works for others, just not for me. j'adore ce type de rhum très agréable, avec de la rondeur, de la force, et une très bonne longueur en bouche. indispensable pour de petit moment égoïste. Enjoyed a bottle of Angostura No. 1 while vacationing in Sydney. Pretty nice and unique bottle and label design. Golden color. Plenty of oak, raisins, almonds and a hint of vanilla to the nose and palate. Very mild sherry comes at the end only. Typical Angostura strong and dry burn at the end. I got to try this at the famous Rum Bar in the beautiful Whitsundays Isles in North Queensland. A 16 year-old rum apparently finished in cognac barrels for the last 6 years. Definitely a brandy taste to it with raisins , slightly nutty and with pastry notes.. Dry and not too sweet. I enjoyed the Batch 1 last year and this was another nice sipper. I have the 1787 at home which im really looking forward to. 10 years in American oak casks before being transferred over to once-used French oak casks that previously held Cognac for the final 6 years. Significant for the aroma is exotic fruits, almond and some oak. The taste is subtile and you can recognise nuts and dried fruit. As a summary another good rum from Angostura, now we’re waiting for edition three. Now I have also tested the 3rd edition, but it didn’t reach the level of the 1st and 2nd editions in my opinion. This is not your mommas rum. If you like good deep well balanced rum then this gem is for you. Very nice, perfect sweetness. Great flavors from start to finish. I am so sorry! 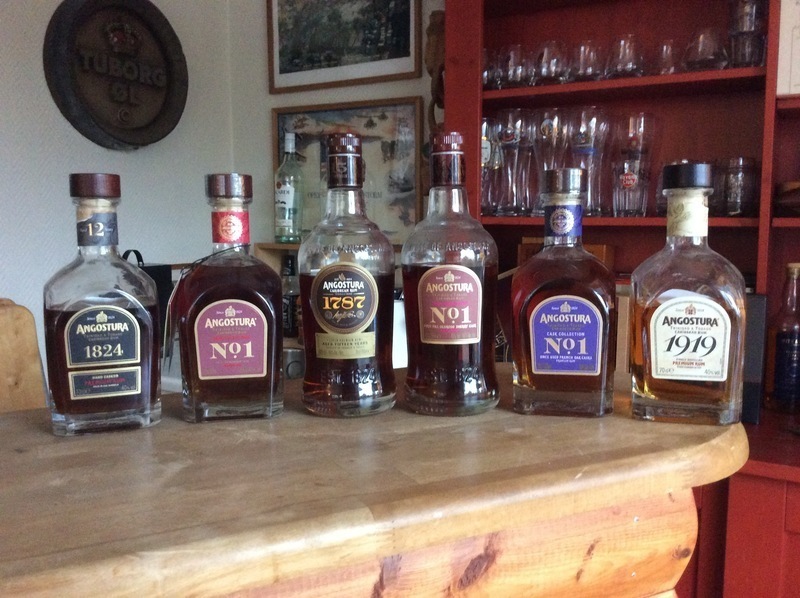 I tried the 1787 first and after this wonderful rum i tasted the batch 2. It is like tadting honey and after that tasting sugar water. It is surely a nice rum, but in comparison to 1787 it is no 2.! Le nez est plus sucré que le batch 1 (cerise, bonbon arlequin). L’attaque est douce mais manque de complexité. En fait j’ai été déçu car j’attendais énormément de ce rhum, mais une fois en bouche il n’y a pas de magie qui opère, pas d’explosion de saveurs, il y a un arrière gout de cognac qui prend tout de suite le dessus et qui coupe toutes les saveurs du rhum. Ca crée une énorme frustration, la dégustation a les ailes coupées en plein vol. Ca reste un bon rhum mais je préfère largement la 1er version qui a plus de caractère. Comme tout angostura le final est très intéressant par sa longueur. This stuff has eight spoons of added sugar per liter - a preposterous amount - which explains why it tastes so damned sweet and uninteresting. I love authentic rums from Trinidad (e.g.,Caroni) but this juice has that insipid, flat mouthfeel and lack of complexity common to heavily sweetened rums. What a waste. Sometimes searching for perfection you hope that this bottle would be. Not for me this time, to oaky and sprawling. Neat or over ice, this is a fantastic rum. The nose is of banana and sweet vanilla, smooth with a aftertaste that lingers nicely. I would not be surprised if "Batch 3" is $100+ US. Nice job by the Angostura team..
Only wish it wasn't double the price of Batch #1. Gorgeous and smooth, a truly special rum. I had read about this rum online and thought I might find it rather easily. I was wrong. But when I ran across a bottle (the only bottle of it in the shop) while on a weekend getaway in Panama City Beach a couple of months ago I immediate bought it. No questions asked. A very pleasant aroma in the snifter. Very nice deep amber flowing into a golden yellow in shallower portions of the snifter. Swirling the rum in the snifter showed a long...and I mean LOOOONG cling to the sides of the snifter. Almost like painting with rum. I noticed that enhanced the aroma in the snifter. Nice. Upon tasting it I noticed a clear contradiction...at first it has a marked sweetness and almost instantly transforms to a fairly dry taste. And add to that a pepperiness as well. Also seems a bit buttery to boot. Very smooth. The finish seems to be peppery with hints of toffee and vanilla and it's a long finish. Not a several burn but a definite warmth coating the through downwards. Definitely a rum to bring out on those special occasions with friends and family. I did like this more than the previous one. Previous had little "too much of everything" This one is more dry and you can find more detailed flavours, like nut for example. As always Angostura products are "money well spent" At least I don't know any other Rum where you get so much value for money. Both No1 products could sell in over 100€ category too.